Newly upgraded! 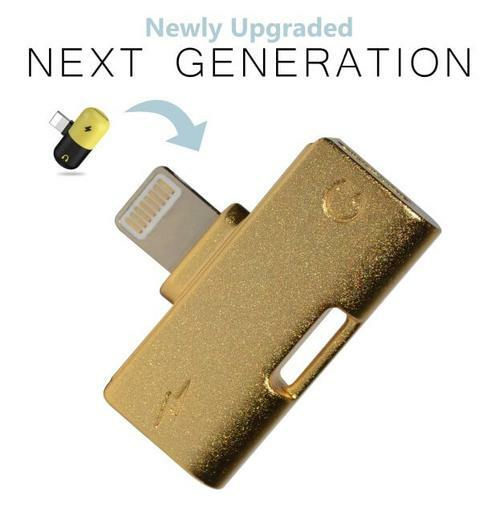 This next generation adapter is stronger, more durable, higher quality and harder to misplace. Buy 2 & get 1 FREE! These make awesome gifts. IMPORTANT: please add 3 adapters to your cart, discount will be applied automatically-->you only pay for 2! World's smallest lightning splitter for two in one use. With keychain attachment. Makes it possible to listen to Lightning Audio while charging your iPhone. Enjoy music or talk through Lightning Audio headphones while you charge. Use it anywhere; at home, at work, in the car or on the go. To Use: First insert power cord and headphones into the adapter, then insert the adapter into your phone, wait a few seconds, and the adapter will work. This also keeps phone port movement to a minimum for longer life. Please note: This adapter delivers power in to your iPhone/iPad, and only supports Lightning Audio. It does not support syncing or any other USB data, or similar protocol like Serial or UART. 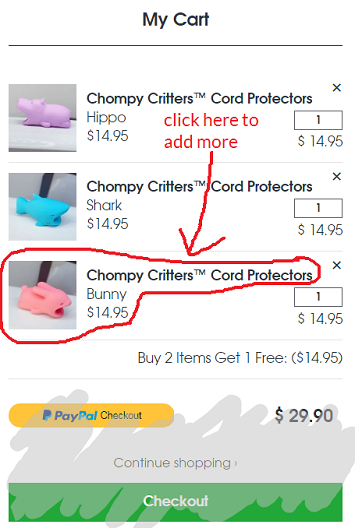 To quickly add multiple adapters in different colors to your cart, click on any adapter in your cart to return to the product page to choose a new color.